It's not out until February of next year, but Irrational Games has revealed why fans need to start saving up for the Special Editions for Bioshock Infinite. 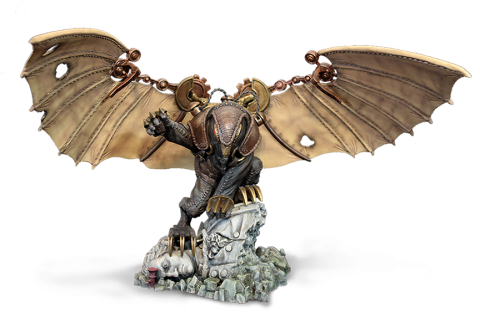 The Ultimate Songbird Edition of the game comes with a 9 inch statue of the game’s Songbird creature, who looks to give Big Daddy a run for his money in terms of a new foe. The Premium edition of the game comes with a keychain of the Murder of Crows replica, mini art book, cool digital gear, and other custom art items. The Ultimate Songbird Edition of Bioshock Infinite comes will all of the items that will be in this Premium Edition. 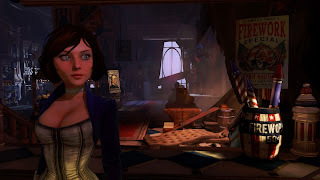 While most games with collectors edition have small differences in their packages, Bioshock Infinite looks to give fans willing to pay more some pretty awesome goodies. You can preorder these editions now and begin the wait for the game in February.